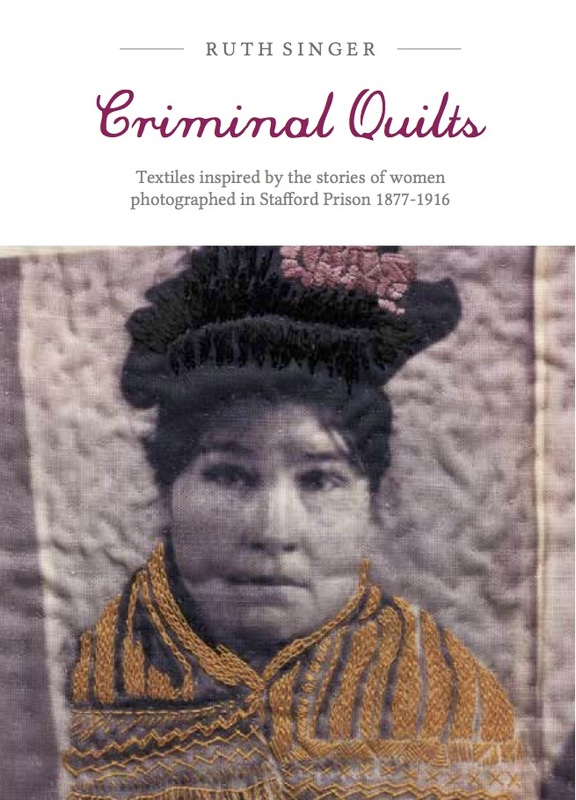 Criminal Quilts Book is available now, directly from me for online purchases or from exhibitions / venues where the exhibition is shown or from me at talks and events. The book is 80 pages in A5 format with soft cover. The book contains all our research on the photographs and associated social history as well as case studies of some of the women. It also has lots of images and information about my own work inspired by the photographs and the research. The book is £12 and all copies sold will be signed by me. It is also printed in the UK – just a mile from my home, and is 100% recycled paper.